CloudFactory is an amazing company that has connected more than 8,000 talented people in developing nations to meaningful digital work. Our clients get a managed, highly scalable workforce that cares about the quality of their work, and our workers get the resources they need to attend school, support their families, and start new ventures. Typical clients are tech companies that are creating human-powered features within their software or using human intelligence to train algorithms. We can do everything from document transcription to video image annotation for computer vision. It’s our big, audacious goal: to connect one million people in the developing world to meaningful work, while raising them up as leaders to address poverty in their communities. This clear and inspiring purpose is what motivates and engages all of our teams across the globe every day. Our founder Mark Sears is unlike anyone I've ever met. He has a background in software engineering, so he's logical and system-oriented. He's also a compassionate, visionary leader who values workers and their contributions. The rest of the leadership team is incredible as well - I could go on for awhile about CloudFactory’s great leadership team - but to truly understand the difference these people are making in the lives of thousands of workers across the globe, you just have to meet them. We are fast-moving and ambitious, yet never at the expense of people. At CloudFactory, people genuinely love and serve our clients and one another. Teammates are friends and often eat meals and play games together during breaks and off time. We have offices in four countries (U.K., U.S., Nepal, and Kenya), and we value and celebrate the different cultures represented in each of them. Our clients are among the most interesting technology companies in the world, including Microsoft, GM-Cruise, Ibotta, Drive.ai, Pilot.ai, and we’re always on the lookout for new and exciting partnerships. We’re also working on some pretty slick technology of our own to help us better serve our clients and cloud workers. We flatten hierarchies here, but you can advance your career pretty quickly because of how fast we're growing. We invest in people who are passionate about our mission and our work. At CloudFactory, you will learn a lot, and quickly. We all have focused areas of work, but being a startup, we all help each other out. Our team members tell us they’ve learned about working with different cultures and across time zones, how startups and businesses function, how to scale a company, and much more. Want to learn something new? Just ask one of your teammates. 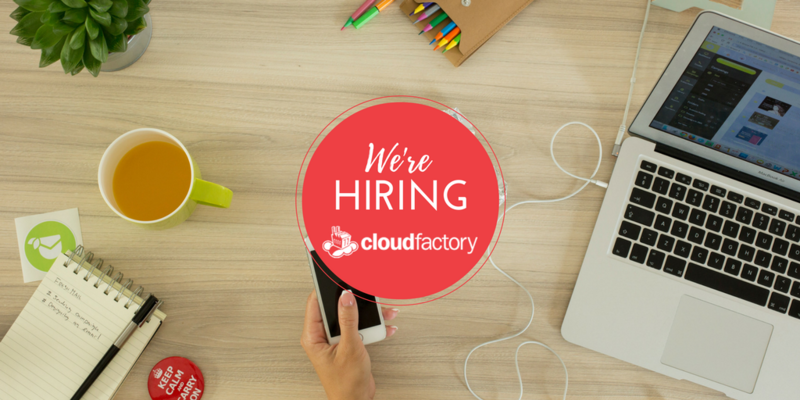 If you love great people, interesting technology, and a global culture that makes you want to hop out of bed in the morning and get to work, CloudFactory might just be the place for you. Check out our Careers page today!